Prosthodontists are specially trained to blend modern aesthetic techniques with the other important aspect of your teeth, i.e. eating. There is a lot more than meets the eye then just altering the way a smile looks. It also has to function and the training to make that happen properly is what is taught in the two – three year post-dental doctorate speciality of prosthodontics. Prosthodontics: (crown, bridge, and implants) A Prosthodontist has a specialty license pertaining to the diagnosis, treatment planning, rehabilitation and maintenance of the oral function, comfort, appearance and health of patients with clinical conditions associated with missing or deficient teeth and/or oral and maxillofacial tissues using biocompatible substitutes. Most dentists are not trained prosthodontic graduates of a dental school – rather they take short continuing education and utilize trial and error experience to be able to understand how size, shape, color and symmetry all work together to create what a prosthodontists is trained in their post graduate work. On the other hand, the prosthodontist is trained at a university to create the smile that implements the use of veneers, crowns, bridges and the increasingly more common procedure of dental implants to ensure that the right smile is achieved, both functionally and aesthetically beautiful. If anyone has a specialty in cosmetic dentistry, it would be the prosthodontist. So when you are seriously looking for a cosmetic dentist, look for a prosthodontist. Of the 170 thousand dentists in the United States, only 3200 are prosthodontists. Of those, Forbes magazine reports only 560 are practicing. Prosthodontist is the second rarest job in the United States and the rarest of specialities within dentistry. Dentist Buckhead: Should You See a Specialist? Probably Yes. There are two types of dentistry today. One is traditional dentistry targeting the oral hygiene and prevention of oral diseases, tooth decay, etc., by diagnosis and routine oral treatment. Its focus is maintenance oriented and a percentage which is covered by insurance. The other and most recent is cosmetic dentistry, aiming to improve the appearance of your teeth and smile. And in some instances dental procedures are implemented to improve function, which may have the tertiary effect of improving your smile, i.e. an implant. Thus, general oral diseases and related health issues are treated by general dental practitioners during the routine care of your oral health. Whereas cosmetic dentistry should be handled by a dental specialist, whether it is a prosthodontist, orthodontist or an oral surgeon/periodontist in conjunction with a prosthodontist. 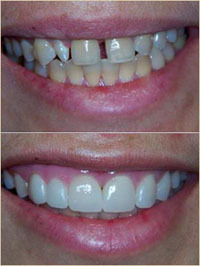 Cosmetic dentistry, while it is not a recognized dental specialty, has risen to an art form in the field of dentistry. When applied in conjunction with the restorative benefits of general dentistry like dental fillings fall within the domain of general dentistry but crosses over into cosmetics when the materials of the restoration serve two purposes; the filling itself and the appearance of the filling. Thus a composite dental filling is covered by cosmetic dentistry to retain your look and smile as usual, but avoids the unsightliness of an amalgam (mercury filling). There are many dental clinics and general practitioners providing a myriad of cosmetic dentistry procedures. Before opting for treatment, one needs to take care in selecting the right type of dentist with investigation that should include references, reviews, training and the skill set for the treatment as well as the particular procedure and protocol to be followed. In metro cities like Atlanta one can find many dentists who purport to be trained (or have trained themselves) as cosmetic dentists, which is a self-proclaimed non-existent specialty. These dental clinics and practitioners are providing general dentistry as well as cosmetic dentistry that range from performing root canal treatment, periodontal treatment, children’s dentistry, teeth whitening, bleaching and advanced cosmetic dentistry such as the placing of implants. Purported cosmetic dentists providing various cosmetic procedures as well as surgeries like full mouth rehabilitation, tooth laminates, tooth veneers, crowns, bridges, etc., can make a mess of your mouth if you’re not careful. Little known, prosthodontic dentists are with the passage of time gaining popular recognition as patients become more familiar with the advances in dentistry and how they can enhance their everyday lives. They are expert dentists with a post graduate ADA recognized degree centered around a complete knowledge of dentistry, where function and beautification of teeth are combined in the final result — the right smile. A comprehensive approach by a prosthodontist is the best way to ensure that you are receiving the competent and qualified dental care you need. Dr. Scheinfeld received her prosthodontics degree from Emory University’s Prosthodontics program in 1988. Of the more than 170,000 dentists in the United States less than 3,200 are degreed prosthodontists. According to Forbes Magazine there are only 560 currently practicing. If the Right Smile Center can answer your questions or provide you with a complimentary consultation, please feel free to contact us. 1. Searching the internet is probably the number one method used to verify who your trusted family members, friends and co-workers recommend to you. If you search the internet, look for the number of reviews (450 verses 20 reviews) and the timeliness of the reviews (i.e. how old are they). 3. Contacting your local or state dental society for a referral will probably be a waste of time. But if you are going to go that route, my associate of 24+ years was the past President of the Georgia Dental Association. Look him up, Dr. Sidney Tourial. Our other associates have been practicing dentistry for more than 20 years. Search the Internet or look under “dentists” or “associations” for the dental society nearest you. 12. Consult with the dentist about your dental history and problems, and decide whether you like the way he or she explains preventive measures and treatments. Realistically, we are going to be on our best behavior, but again realistically, how many group practices have associates for 24+ years who was the President of the GDA? My other associate practiced with us for 14 years until his passing. And my newest associates are my two daughters. And according to The Oral Cancer Foundation, there are two distinct causes of oral cancer. One, is a result of the use of tobacco (and alcohol), a long time historic environmental cause, and the second is through the exposure to the virus HPV-16 (human papilloma virus version 16), and apparently the same virus responsible for the vast majority of cervical cancers in women. And a small number (under 5 %) of people acquire oral cancers from currently unidentifiable cause, presumably caused by some genetic predisposition similar to other cancer causing agents. While most think this is a rare form of cancer, oral cancer is diagnosed in about 100 individuals each day here in the US alone, and one person dies from oral cancer every hour of every day. 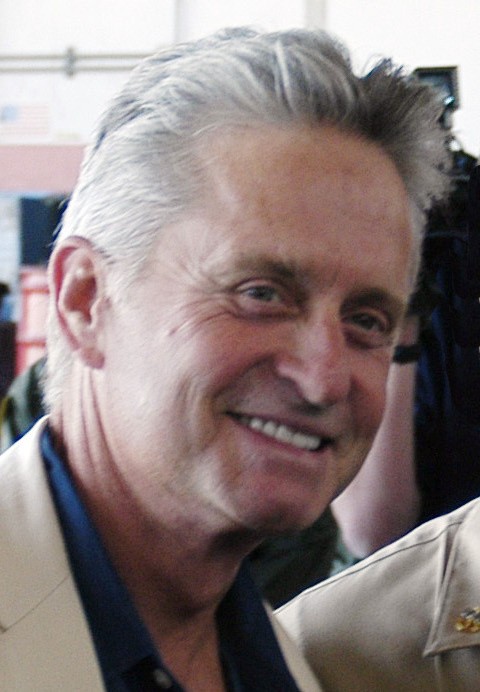 If you add the sub category of laryngeal throat cancers like Michael Douglas’, the rates of occurrence accounting for about 10,000 additional cases per year, then the death rate is significantly higher. But these statistics can be drastically reduced when found at the early stages of development. With early diagnosis, oral cancer patients have an 80 to 90 % survival rate. Unfortunately, the majority of cases are found as late stage cancers and accounts for the very high death rate of about 45% within five years of diagnosis. The reason for these late stage diagnoses is not because these cancers are hard to discover, rather it is because of a lack of public awareness. The American Dental Association states that only 60% of the US population sees a dentist every year, which leaves 40% to happenstance. If heightened public awareness were coupled with a national program for screenings, diagnosis of oral cancers would yield early discovery by both medical and dental professionals. It is important that patients realize that a visit to the dentist is no longer about a filling, a crown, or a postponable cleaning, but actually an oral exam is a matter of life and death. It’s important for patients and dentists to start a dialog today. So when it comes to oral cancer and saving lives, these are primary responsibilities of the dental community. The most important step in reducing the death rate from oral cancer is early discovery. And no group has a better opportunity to have an impact than members of the dental community. If our practice can be of help we are offering free cancer screening during the month of April.